I can't believe it's Friday again already and THANKSgiving is NEXT WEEK. Say what????? Time really does fly the older we get! 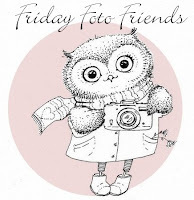 Here are my fotos for this week. 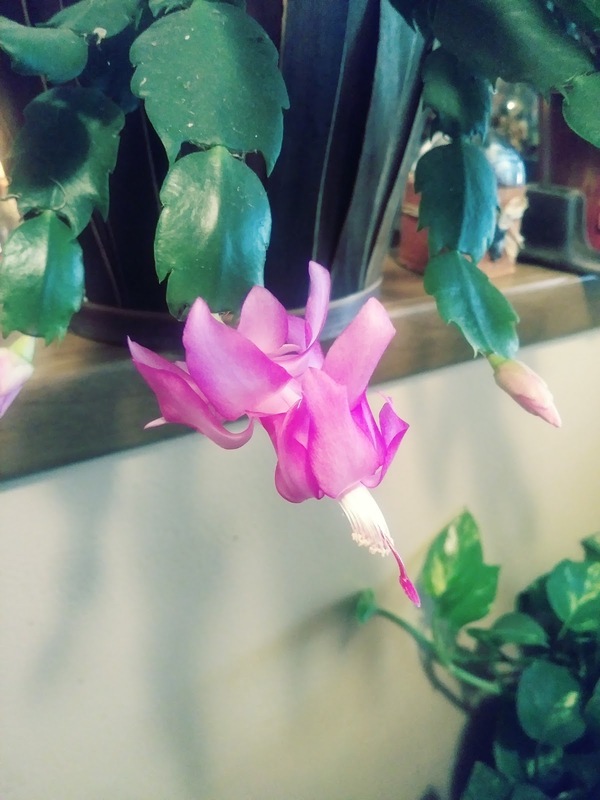 Instead of a CHRISTmas cactus mine decided to bloom for THANKSgiving. Purple is my favorite color just in case Y'all didn't know. I ♥ Kroger's mark-down flowers. Purple roses for $1.99 is a win-win! 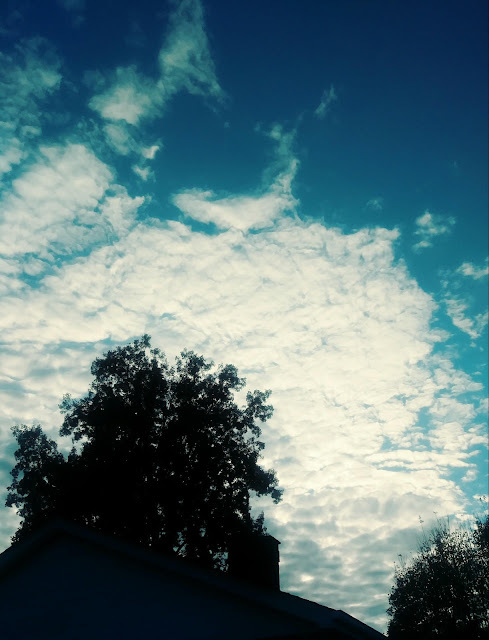 Just a glimpse of the gorgeous skies over Mom's house one afternoon. 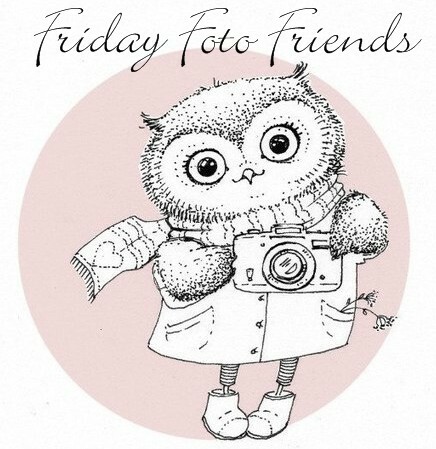 HOPE everybody has a safe and happy weekend! Love the purple roses. My sister's cactus used to bloom on Easter and we always called it the Easter Cactus. LOL! Never understood why it was really a Christmas Cactus. Have a blessed day and weekend dear Debbie. Aaaah, the cactus. I love it. Love the purple roses and the sky. Have a great weekend. Every year, I wait for the blooming of your beautiful Christmas cactus. I absolutely love it. But I am one of those "can't even keep a cactus alive" plant people. I would love to have one of my own, but it would live long enough to bloom! I love purple too. My Christmas cactus usually starts blooming sometime between Thanksgiving and Christmas. However, mine aren't looking very healthy this year. I may have to get some new ones. 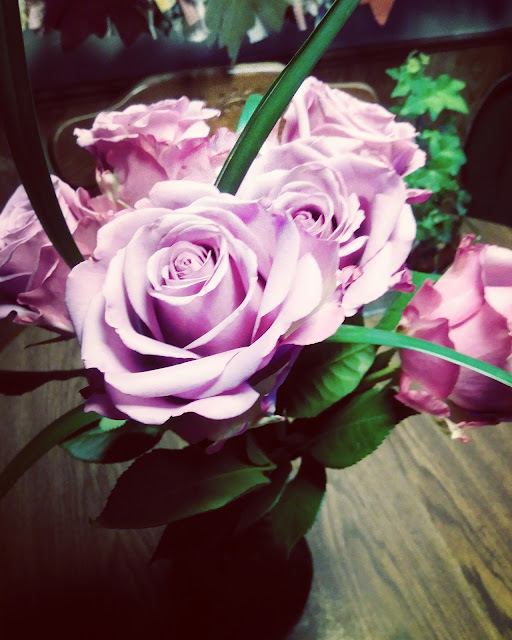 Love the purple roses. I love roses of any color! And yes, the skies are so gorgeous...love the clouds. How often do you study the clouds? We do every time we take a ride we look for faces and things in the clouds. It is such fun to see the beauties God places in the skies for us to enjoy! We are a blessed people!!!! Praying your weekend is good. I know it has been a difficult week...and then next week is Thanksgiving...but God is Good...All the Time, God is Good! He will see us through!! Beautiful flowers! Is that something Kroger does on a regular basis? I need to check that out. Gorgeous sky! Happy Thanksgiving. That sky is as pretty as our Florida sky! Those roses are gorgeous! I used to have a Christmas Cactus. They are so pretty when they bloom... whenever they bloom!! Love the colors...and the Thanksgiving cactus! Such a pretty rose, and a great sky shot, ours has been a bit like that today.